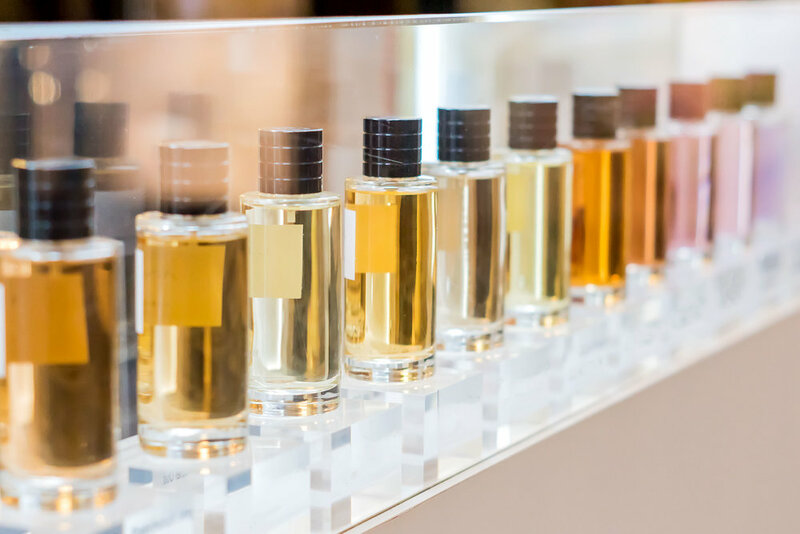 When it comes to fragrance, you don't get much more expert than Nathalie Lorson, the perfumer whose scent-creating career has spanned more than three decades. Having worked with practically every luxury fashion house going (YSL, Versace, Givenchy and Roberto Cavalli to name a few) plus celebrities including Kate Moss and David Beckham, the French 'nose' certainly knows her stuff. So when I got the chance to sit down with Lorson at the launch of her latest creation, Jimmy Choo Fever, I decided to pick her brains on all things olfactory, and made some fascinating discoveries. Whether you're on the hunt for a new signature scent or want to find out how to wear your current favourite well, these perfume pointers are incredibly useful. "Normally it's the concentration - the concentration of perfume in alcohol. Eau de toilette may be between 12% and 14% and eau de parfum can be 14% up to 25%, it depends. But sometimes, there is no connection at all between one and the other one," explains Lorson. "Normally eau du parfum is stronger, so you can use less. But sometimes the eau du toilette version is much fresher. The structure of the formula is a little bit different, so the impression is a little bit different too. And when you buy it, you won't know, you just have to try." Some people say that when you apply perfume on your wrists, you shouldn't rub them together, otherwise you lose the top notes, but Lorson says that's a myth. "This gesture was done when we were extracting very high-concentration perfume, old perfume. Now it's not really true - now we have sprays, [before] there was no spray, you took the cap off the bottle and applied it [directly]. Now it's a spray, the dilution is much lighter, so really it doesn't matter." "I will put on a lot of perfume, but it depends on the person. And it depends on the perfume," muses Lorson. "If you have a fresh one you can put on a lot; if you have something very heavy, don't put on too much. The problem is, when you are wearing your perfume, at the beginning it's strong and then you don't smell it at all. You have to ask to your friend or the people around you if it is not too much. But it's really a question of taste." "I wear whatever I'm working on, so I change each time I'm working on a different project, but I love a lot of Guerlain for example, those are very classic, for example Nahema and Apres L'Ondee. I like Prada Infusion D'Iris, I find it very good, also [Chanel's] Coco Mademoiselle and Dior J'Adore, it's a very interesting exercise too. The big, very famous perfumes are very interesting." "You have to try a lot of things and you have to wear them, not only smell them on blotters. On blotters you smell a lot of the top notes, but on skin with the warmth of the skin, all the middle notes and especially the back notes are much more strong," explains Lorson, "so you have really to use the perfume on your skin for three or four hours to decide if you like it or not. In the shop, make a selection on the blotters and then put two on your skin, then later, if you like it, you come back to buy the perfume." "Fragrance lasts longer on clothes than on skin. When I'm perfuming, I spray several times around my neckline so it goes more on the clothing than on the skin. But it depends on the person, I like to be very generous." "When, for example, you are eating a lot of garlic your skin smells, because it comes out of the pores," says Lorson, explaining that heavily spiced food can have the same impact. "The food changes the smell of the skin and then that affects the perfume."